If your goal is to get from one place to another as fast as possible, then a train is not your best bet. But if your goal is the journey, rather than just the destination, then trains are the way to go. The dreaminess of railway travel will take your breath away and is the best way to see America’s most beautiful scenery. Here are some of the best rides. The Cascades train goes from Eugene Oregon to Vancouver, British Columbia and is a 156 mile, four-hour ride. Its name most certainly matches up with its views. From Eugene to Seattle it is mostly evergreen forests, and then once the train hits Puget Sound, passengers get an unbeatable view of the Olympic Mountains. This ride is a moving postcard. The eight mile Cass Scenic Railroad which goes through West Virginia is not called almost heaven for nothing. The scenery on this ride is completely stunning. The train is the original locomotive that was once used to transport lumber to mining camps. Today it takes passengers up a four-mile slope with unique views of the mountains below. Whittaker Station is found at the top of the ride, which is a restored logging camp. It is most recommended to go in October when the fall colors are out. 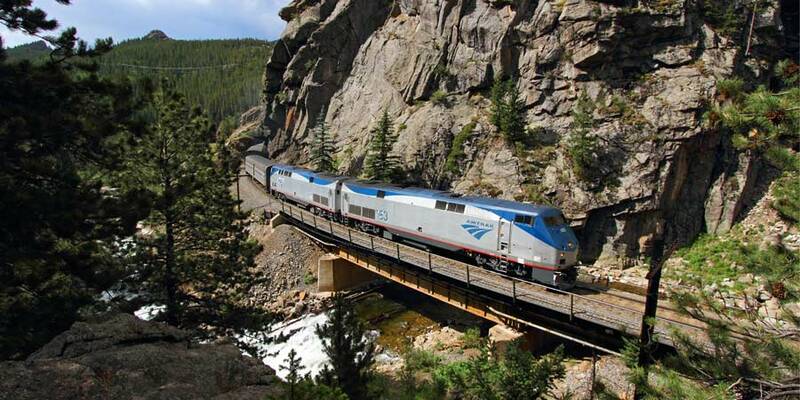 The California Zephyr train goes from Chicago, Illinois to Emeryville, California, covering a distance of 2,438 miles. To do the entire route, and retrace the path of trail pioneers who settled in the West, it takes over 50 hours. It starts in Denver and goes through the Rocky Mountains, the red rocks of Utah, the Sierras, Donner Pass and then San Francisco Bay. It’s a great way to cover the West without renting an RV. The White Pass & Yukon Route will probably have you wondering who was bold enough to build this cliff-drop railway in 1898. The train leaves from Skagway, Alaska in three different paths, however, all take you 3,000ft down mountain lakes, glaciers, and waterfalls. This trip goes down the path of the original miner’s supply route. It’s not suggested for those with a fear of heights. 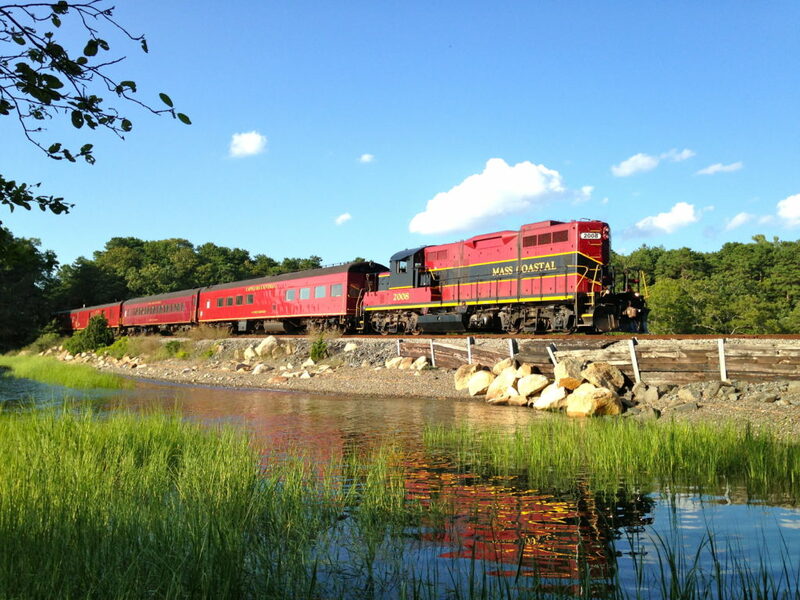 The Cape Cod Central Railroad offers a ride through the salt marshes, cranberry bogs, oceanfront trails and cute towns. They offer an option of an information sightseeing tour or a dinner train with fine dining prepared on board. Both options take passengers through areas of Cape Cod that can’t be seen any other way. The Grand Canyon is a legendary American landmark that you will inevitably always get stuck in traffic while visiting. That’s why taking this 130 mile round trip train that leaves from Williams is your best bet. It begins in Northern Arizona in the pine forests and then goes into a high desert. The ride also goes through the San Francisco Peaks before getting to the Grand Canyon.